I absolutely abhor shaving in the colder months! My weekday traveling has me in and out of the frigid Michigan air all day and I have the perpetual dry skin issues in winter to attest to it. 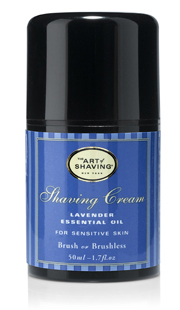 While shaving in the warmer months is not an issue, shaving in the colder seasons can leave my legs rough, dry and abused if I don't use the proper supplies and techniques! After suffering rough, dry skin, not dissimilar to that of a crocodile, as well as the severe discomfort that accompanies it, I decided to do a little research on how I could prevent winter shaving syndrome. Everyone is conscientious about maintaining proper hydration in the warmer months, however, how many of us consider it in the winter? Ensuring that you drink at least eight glasses of water a day during the winter months will help keep your skin hydrated and protected from the dry air and cold temperatures. Who doesn't love a refreshing, hot shower on a cold day? Unfortunately, the hot temperatures are robbing your skin of its suppleness, washing away your skins' natural, moisturizing oils. If you are using a foaming shaving cream, the chemicals within may be drying out your skin even more! I have started using higher quality shaving supplies in the winter, borrowing from my husband's stash, both his shaving cream and shaving brush! Shhh, don't tell! Not only will you achieve a closer shave, but your skin will be less damaged by shaving with a clean, fresh blade. Be sure to change your blade often, especially in the winter months. You will be able to shave more quickly, and with less strokes. In the winter, your skin is already under duress. Be sure to pat yourself dry as rubbing can add to irritation and moisturize with a quality lotion immediately upon leaving the shower! I am participating in a blogger campaign by Bucks2Blog about shaving soap and cream and was compensated. The opinions above are both honest and my own. 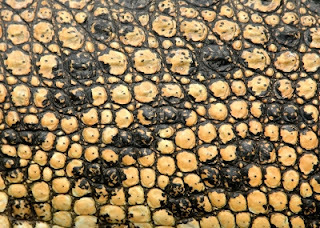 Crocodile & Legs Images.